Drive up Oxford Street in East London, away from the sea, into Southernwood. Walking distance from the centre of town, most of the grand houses in this suburb have been turned into offices. The ordinary Victorian and Edwardian houses have gone to seed and are now home, in many cases, to more than one family. The area north of St Andrew’s Road remains middle class and white, everything between St Mark’s and St Peter’s is, from what I can make out, 100% black. People call it NU 20. (A reference to Mdantsane’s “Units” – of which there are 19). It is a curious thing for me – the way apartheid spatial arrangements morph but subsist. One night, couple of weeks ago, I was driving down St George’s Road, on my way to fetch Thabisa from a friend’s place. As I passed Hillbilly’s (it is called Mario’s now, but will always be Hillbilly’s to me), Thabisa phoned to say that she wasn’t in Rodney Street, but in St Mark’s Road (the reason for this is a story for another day). I had pulled over to take the call. So… I indicated, looked in my rear-view mirror and pulled out for one of the lovely u-turns that the wide arteries of East London make so easy. Blasting of a hooter and screeching of brakes and a large dark grey double cab stopped mere centimetres from me. Serious adrenalin. I stopped and wound down my window to apologise to the driver, who was similarly apologetic – it turned out that he had no headlights and was en route to having them fixed. We continued on our respective ways. As I drove past the house with the big grey wall on the De Villiers Street intersection I heard a voice yell “Ye mlungu iphantse ukubhoda bafethu!” and peals of laughter. There were three boys aged about 14 or 15 looking over the wall. That adrenalin was still coursing through my veins. I was livid. I did another u-turn and parked outside the house. I wound down the passenger window and yelled, “Andiva?”. The boy who had yelled looked arrogant and repeated himself. I lost it. “And is that funny?” I screamed in very bad Xhosa. “You nearly caused an accident,” the boy replied in English, “it was your fault!”. By that time, a small crowd had gathered on the pavement in front of the house with the dark grey wall. There was much murmuring. I was suddenly conscious of the fact that I was a white woman in a black area alone at night, challenging a youth about race. I was angry enough not to care. There was a moment of quiet. “I am very sorry, mam” he eventually said. Murmurs of approval from the crowd. Loud approval from the crowd. “It’s alright,” I said, “no harm done”. “I’m really very sorry, mam,” said the first boy again. “It’s really ok,” I said and smiled – I meant it. People moved aside so that I could do my third u-turn in St George’s Road in a very short space of time. As I pulled off, the crowd dispersed. I drove to St Mark’s Road in a daze, processing what had just happened… one of the many, small, unreported demonstrations of what is right in the world. I love Southernwood. I will try to take some photographs for you tomorrow if the light is good. This entry was posted in Uncategorized and tagged EAst London, Eastern Cape, South Africa, Southernwood. Bookmark the permalink. I love the way you are too! Thanks Ash. I agree with you Astra, Lotus has a way of putting things very so vividly that it almost comes to life. I can imagine how angry you were to have to stop and actually confront a crowd. Sometimes we need to step out of our comfort zones to fix the wrongs we see in the world, hopeful that they will change at least one person’s perception,causing a ripple effect to start. I don’t understand where Hilda’s comment stems from. I see you have everything neatly tucked in inverted comma’s, but can assure you that its far from who Gail is or what she thinks about herself. If you were any decent,you would apologise for that comment,but clearly that was not the case to begin with, from when you actually clicked the “post comment” link. Stop hating and get over yourself. Better yet,get a blog. Thank you, Jude, for what you said about my writing, and especially for defending my character – you are a good person to have in one’s corner! A thought-provoking column. Southernwood is where I work, and walk during my lunch hour. I was born in Southernwood and still own a property there. It is my ‘hood too. I like that. 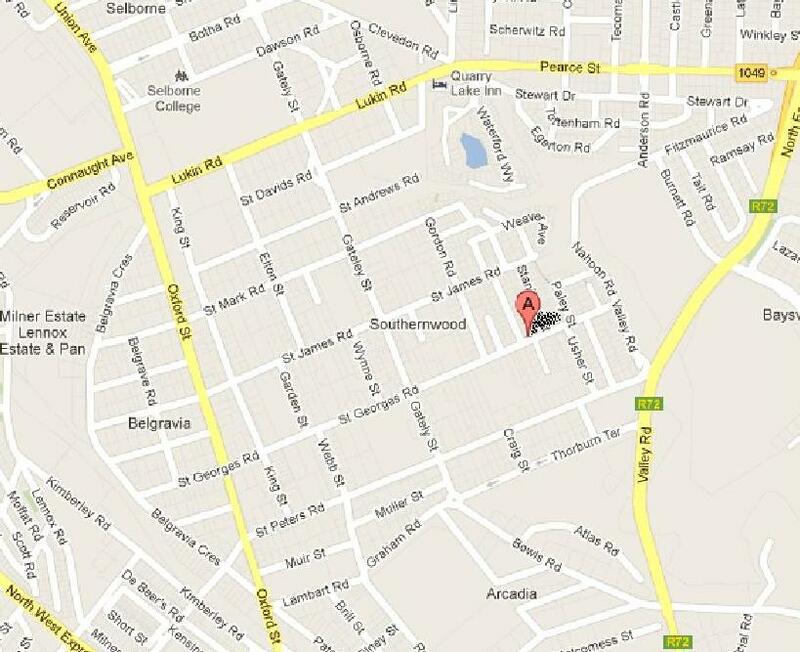 I was born in Southernwood too (in St Mark’s Road! ), and also work there. I confess that I don’t walk in my lunch hour – maybe need to change that? Thanks Janette – I do think it is generally reflective of how things are. I share a surname with you. Also my mother is (was) a native of East London. The Quigney was our place. Hi Paul. Are you the festivus-pole-Paul-Kirchmann from twitter? We *must* be related! And here is another co-incidence – my mother went to Krugersdorp High. Yho Gail, Girl what I can say you are so brave, you know the way things are in Southernwood, it’s scares me, I try to avoid that route, but unfortunately we got people that we love that side so we drive there and we have too, but the place is rough lately. Good that you are safe and surerly calm down after sh***t that nearly happened, especial with the bakkie. Yho mhlobo bam, qina aphe’si- Xhoseni neh! Writting to u comes naturaly!.. i always appriciate the way u put words together and they give a perfect picture en understanding to the person reading….. When I have worked out which (cala) it is, I will!